Hey Love: Finds Under $60!! 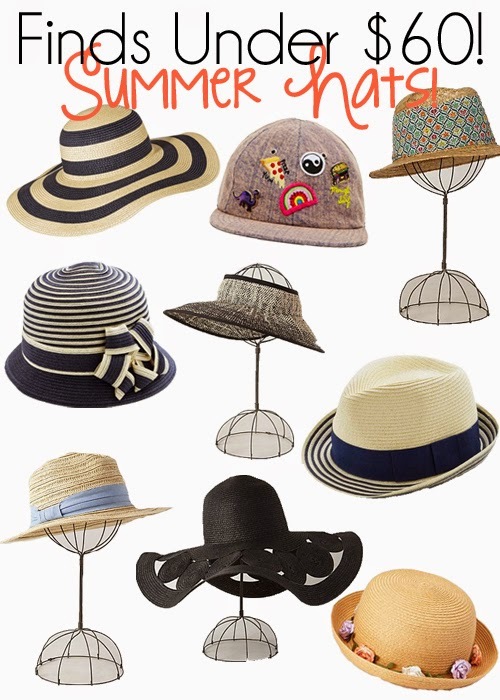 Summer Hats!! I am loving that first one. I love so many hats, but sadly I can never pull them off. So I'll just live vicariously through those that can! I just recently started liking/wearing hats, so this post is perfect for me! I love that first hat! Love all of these hats! Love the hat on the top left! So cute!